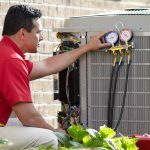 Air conditioning service and repairs are a necessity, especially when outdoor temperatures and & humidity levels exceed our comfort level, and that of course, is when the air conditioning system decides to break down and needs to be repaired quickly by an experienced air conditioning service and repair contractor as soon as possible. 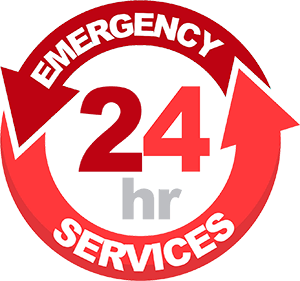 We provide 24-Hour Emergency air conditioning Service & Repairs in The Twin Cities 7-County Metro Area – Our Nate certified technicians can service and repair all commercial and residential air conditioning and cooling systems regardless of the age or manufacture. We service or repair the air conditioning system in accordance to the manufacture requirements and specifications. If it’s a replacement compressor, blower motor, lack of refrigerant or your air conditioning system stops operating completely, at Minnesota Heating and Air Conditioning, we have over 30 years in the HVAC business of performing air conditioning service, maintenance and repairs. How much is your air conditioning system costing you to keep comfortable? We offer a complete manufacture specified maintenance and safety inspection – both the air conditioning and heating systems associated cooling components. We also have replacement air filters, humidifier water panels and other HVAC parts. The life span of the average heating and cooling system in Minnesota is 12-15 years. This statistic depends on how the equipment has been maintained and the initial quality of both the equipment and the installation. Annual maintenance ensures your system is operating at its peak performance all year long. It not only protects your investment and your comfort, it is the most important part of ensuring the longevity and safety of your heating or cooling system. Whether you need HVAC service work, a visual system inspection or simply want to avoid costly repairs in the future, our NATE certified service technicians are ready to assist.